Beautiful You: Review | I Went To Louise LIVE! 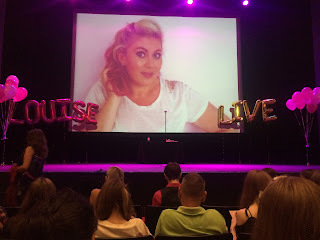 Review | I Went To Louise LIVE! I know I haven't been around for a while and there will be a post later in the week explaining why but today I want to talk about something I got up to at the weekend that I thought a lot of you would enjoy reading. 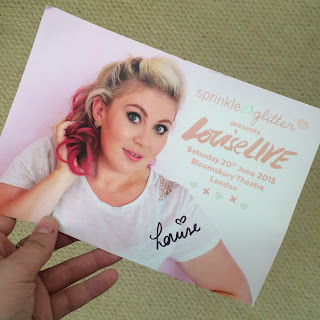 This Saturday my sister and I headed to London for the day to attend Louise Live, this is a live show hosted by the well loved YouTuber Louise Sprinkle of Glitter. I didn't know what would be included in the show or what to expect to be honest and I can say that it was completely and utterly brilliant and everyone who loves her should go to one of the shows she is planning to do next year. You buy a ticket in advance which means you're guaranteed entry, everyone gets a signed postcard on their seat and you can also buy VIP tickets if you are fast enough. Unfortunately I didn't get there in time but I have already met her twice so I can't complain too much. The entire show last for around 2 hours including a interval where there was ice cream available to buy I think, I did get any because I was too busy trying to find Jack Howard!! Another amazing thing that came out of this day was the fact that a fellow blog friend that I had been talking to on Twitter for ages was actually sitting in the same row as me 6 seats down, so if she is reading this Emsy it was so nice meeting you in real life! The first section of the show was a general introduction about what was going to happen, seperating the crowd into sections The Hazelnuts- as Hazel Hayes was there, The Chummies- for her friendship with Zoella and The Jackattacks- for Jack Howard who was also watching in the crowd, we all had our own little slogan which there is a clip of in Louise's recent vlog. 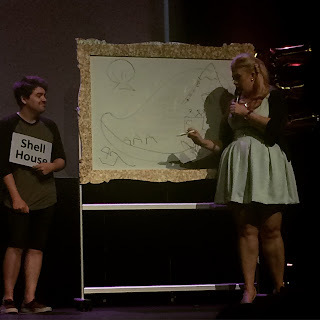 The next part of the show was a quiz where people were invited up on stage to take part in answering questions to do with her and her YouTube channel. What I particularly liked about this section was if no-one up on stage knew the answer, she opened it up to the rest of the audience which involved a lot more people. After the quiz she told us an hilarious story about her and Jack which I shall save you the details of as it involved being ill, on a train, in front of passengers. None the less I thought she was completely hilarious and it felt just like it does watching her YouTube videos but it just happened to be live! Then it was interval time and having Jack Howard sat two rows behind me meant I had to go and ask for a selfie because he is literally one of my favourite people in the entire world. I made my way too him and so did a lot of other people so he had to move it outside the auditorium. I don't think he was too happy about the situation but none the less he was so lovely when he took a selfie with me and I cannot thank him enough for doing so. Then on my way back to my seat I walked passed Dean so of course I had to ask him for a selfie too, I mean you can't get one without the other! 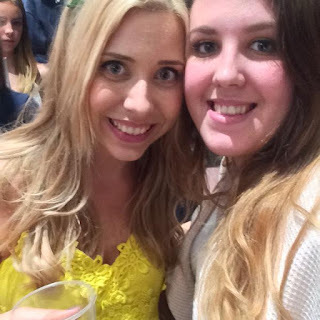 Also amongst Louise's friend and family was Lily Pebbles, now I don't know if any of you would know this but she is one of the first people my sister started to following in the blogging world so naturally she freaked out and was ecstatic that she could have a genuine conversation with her and get a selfie of course! I'm sorry for how blurry this image is! 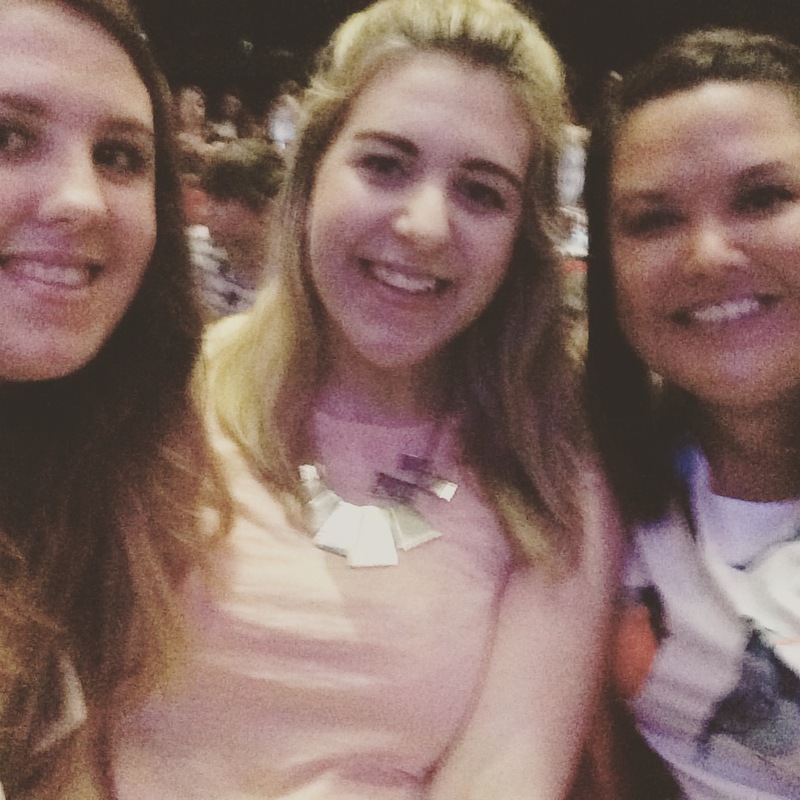 I then made my way back to my seat where I found my sister talking to a lady who was sat next to us who we found out had come all the way from Hawaii!! 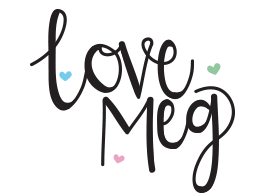 We started talking and she was so lovely so I just thought that I would give her a shout out and say hello on here, I hope you have a lovely time in Brighton! Yes that is Dean Dobbs on stage whilst Louise talks about Louise Land! Shortly after the second half started which began with a Q&A where again people were chosen from the audience to go up on stage and ask Louise a question of their choice. This was probably one of my favourite parts of the show as it gives people to ask their idol a genuine question and although some people, in my opinion, wasted this chance it was still nice that everyone got an opportunity to do so. 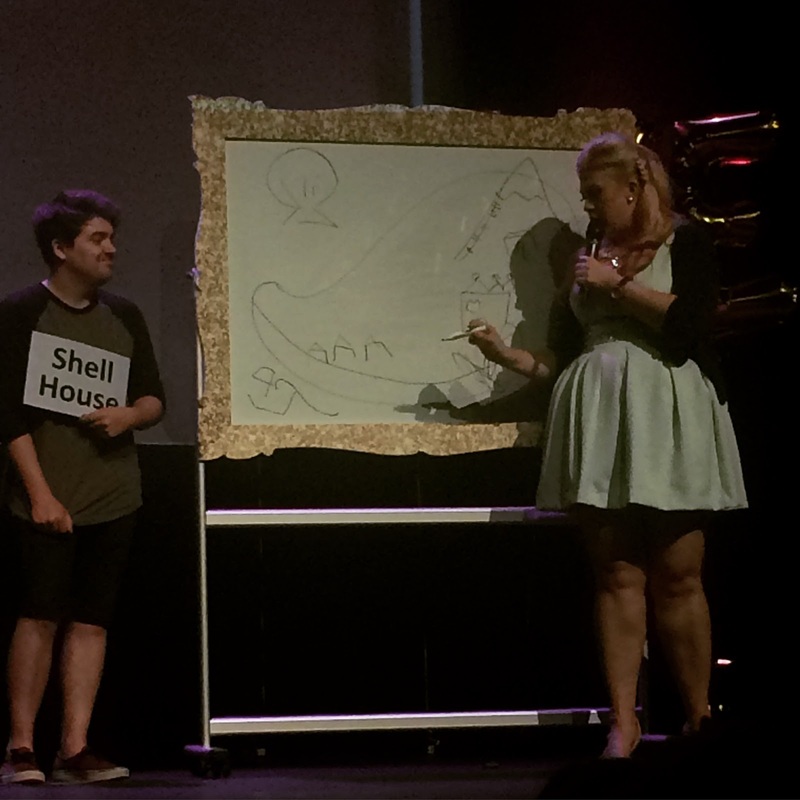 Next part of the show was the section where she talked about 'Louise Land' and let us all in to the land that lives in her mind. I did love this part too as no one else but Louise would create a land in her mind and know everything to the smallest details like she does but it was really lovely to see that, I now feel like I know a little bit more about her! The show ended on Louise's positivity activity, this was something special that only Louise could have done. She made everyone stand up and then asked a series of questions to eliminate people and the moral was that no-one else thinks anyone is worse than them so why do we spend so much time and energy hating ourselves when we should love ourselves for the amazing people we are. I will definitely not forget this for a long time because I do put myself down a lot and I know I shouldn't do it as much. Then as we were making our way out of the auditorium I bumped into Hazel Hayes and I managed to get a quick selfie before she was whisked off to somewhere safe! My overall opinion of the show was that is was fantastic, there were points where she basically had me in tears because it was so funny and points where she nearly had me in tears because it was so emotional. This type of event is definitely better than standing in line for 8 hours when all you get is to talk for about two seconds and a selfie that might even be blurry. I would 100% attend more events like this in the future and if events like SitC and others just aren't you type of scene then I totally recommend going to something like this as the atmosphere is completely different.